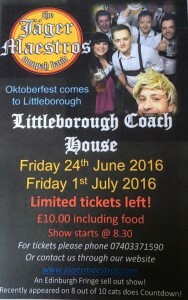 The Jager Maestros will be performing for four nights at our local venue Littleborough Coach House. This will be a new show split into 3 sections for a full night’s entertainment! The dates of the shows are Friday 24th June, Saturday 25th June, Friday 1st July, Saturday 2nd July. 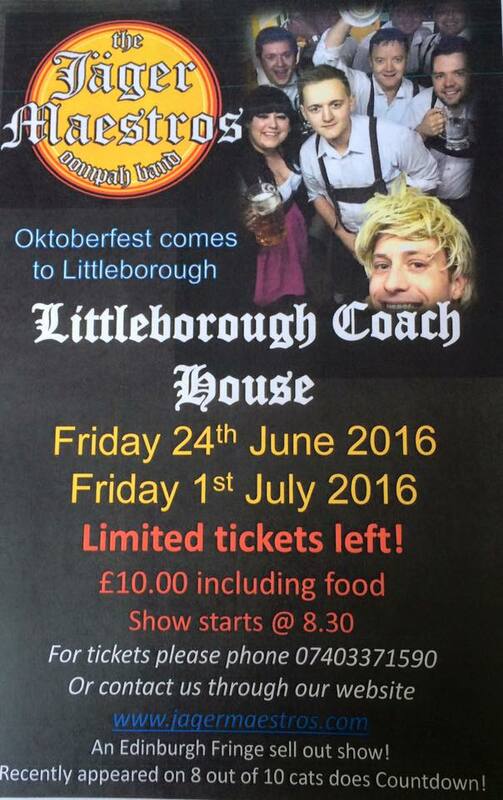 Tickets are available through our website, facebook page or by calling 07403371590.